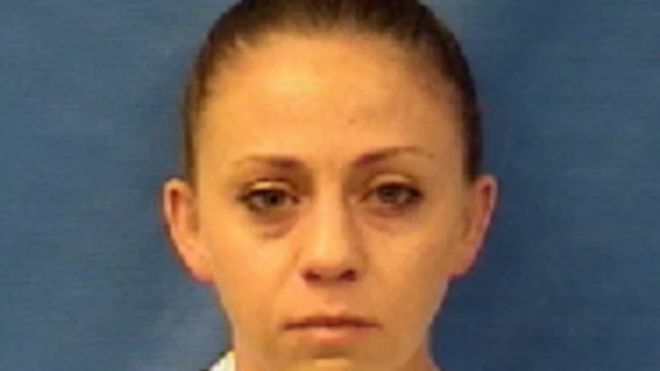 Dallas cop Amber Guyger, 30, was charged this weekend with manslaughter after killing her neighbor Botham Shem Jean, supposedly under the belief that he was an intruder in her apartment. She was in fact intruding into his apartment after returning home from work. Authorities' refusal to arrest Guyger in the days after the slaying led to an outcry, and they were only forced to act after the story made national headlines. Lawyers for Jean's family had been calling for Guyger's arrest, saying the fact that she had remained free days after the shooting showed she was receiving favorable treatment. ''Police say Guyger, a four-year veteran of the force, told investigators she was returning home from her shift Thursday night and accidentally entered Jean's apartment. Guyger believed Jean was an intruder and shot him, police said. Police have released few other details. "Right now, there are more questions than answers," Police Chief Renee Hall said. "We understand the concerns of the community. That is why we are working as vigorously and meticulously as we can to ensure the integrity of the case and the department is upheld."